Chicago: R.R. Donnelley & Sons, 1933. Hardcover. Edited by Milo Milton Quaife. 16mo. Burgundy cloth with gilt lettering, rules and decoration. xxiii, 388pp. Top edge gilt. Tissue-guarded frontispiece, foldout map. Near fine. Tight, handsome 31st volume in the annual "Lakeside Classics" series of Americana reprints. First of this edition of an account first published by a New York bookseller in 1892. Chicago: R.R. Donnelley & Sons, 1936. Hardcover. Edited by Milo Milton Quaife. 16mo. Burgundy cloth with gilt lettering, rules and decoration. xxxi, 167pp, (1p ad). Top edge gilt. Tissue-guarded frontispiece, two tissue-guarded illustrations, small foldout map. Very good. Spine quite faintly sunned; internally tight and near fine. Tight, handsome 34th volume in the annual "Lakeside Classics" series of Americana reprints. First of this edition of a noted chronicle of a British family's move to frontier illinois, first published anonymously in London in 1848 -- originally subtitled "Fourteen Years in the Interior of North America; Being a Full and Impartial Account of the Various Difficulties and Ultimate Success of an English Family Who Emigrated from Barwick-in-Elmet, Near Leeds, in the Year 1831." Chicago: R.R. Donnelley & Sons, 1937. Hardcover. Edited by Milo Milton Quaife. 16mo. Burgundy cloth with gilt lettering, rules and decoration. xxxvi, 342pp, (1p ad). Top edge gilt. Tissue-guarded frontispiece, illustrations, 2 maps. Very good. Faintest of mild binding wear; internally tight and near fine. Tight, handsome 35th volume in the annual "Lakeside Classics" series of Americana reprints. First of this edition of a noted chronicle of life in Michigan in 1834, first published in Detroit in 1876 -- "Being a Graphic and Thrilling Description of Real Pioneer Life in the Wilderness of Michigan." By KINZIE, Mrs. John H.
Chicago: R.R. Donnelley & Sons, 1932. Hardcover. Edited by Milo Milton Quaife. 16mo. Burgundy cloth with gilt lettering, rules and decoration. liv, 609pp. Top edge gilt. Tissue-guarded frontispiece, illustration. Very good. Faintest of binding wear only. Tight and bright 30th volume in the annual "Lakeside Classics" series of Americana reprints, keepsakes produced for customers and employees. Laid in is a soiled "With the Compliments of the Season" calling card of Donnelley president Thomas E. Donnelley. First of this edition, the true first edition being published in 1856. N.p. : N.p., 1927. Hardcover. Small 4to. Blue cloth with gilt lettering. 117pp. Tissue-guarded heavy stock illustrations. Fine. A bright, tight first edition of this privately published tribute to this significant Rockford industrialist, founder of Burson Manufacturing Company -- a "book of remembrances of William E. Hinchliff for you, his grandchildren," notes the foreword. Heavy stock 3¼" X 2½" calling card of "Mrs. William E. Hinchliff" (Harriet Emerson Hinchliff) tipped to front flyleaf. Superb copy of this scarce title, privately published in a small quantity for distribution to family and friends. Galena, IL: Miner's Lodge No. 273, 1958. Paperback. 16mo. Stiff gold wrappers with blue lettering and device. 16pp. Near fine. Super tight and handsome sole printing of this early Galena masonic lodge that (to cite title page) "covers... a complete history, review of statistics, list of Past Members, membership roster and Centennial Day activities." It really began in the 1820s but not officially until 1858 and its first Worshipful Master was one of Galena's nine famed Civil War generals, the Seneca Indian Ely S. Parker. Among other notable members included Generals John Corson Smith, Williram R. Rawley and John A. Rawlins. Uncommon. Chicago: A.C. McClurg & Co, 1947. Hardcover. 8vo. Burgundy cloth with gilt lettering and decoration. xxii, 707pp. Illustrations, maps, map front endpaper, folding map in rear pocket. Near fine. Top page edges a tad spotted, else tight, clean and lovely. Quite tight and handsome "Revised with additions in 1946" printing of this state guide from the noted "American Guide Series" that was (to cite title page) "Compiled and Written by the Federal Writers' Project of the Works Progress Administration...." Still an outstanding guide book, and the laid-in folding map is exceptionally attractive. Indianapolis: Indiana Historical Society, 1980. Hardcover. Small 4to. Burgundy calf rear board and spine with white spine lettering and ivory linen over front board with burgundy lettering. ix, 383pp. Numerous illustrations. Fine. A tight and most handsome first edition of this sturdy production with its unusual calf AND rear board in calf. Vandalia, IL: The Chamber of Commerce of Vandalia, 1954. Hardcover. Small 4to. 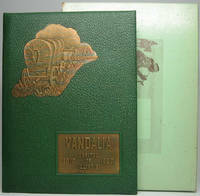 Full green leatherette with embossed gilt lettering and pictorial stamping, pictorial presentation box. Fine/very good. Green glossy pictorial paper over boards box lid slightly spotted, but both halves present, unbroken and tight. 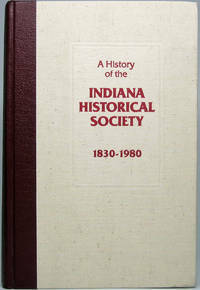 A lovely first edition of this keepsake created for the annual meeting of the Illinois State Historical Society, each member of which was presented with a souvenir copy with their name inked in (here John G. Oien, born 1887, noted Chicago area Lincoln scholar and officer of the ISHS). Very uncommon and seldom seen in the nifty presentation box. By SCHOENHARD, Carl B., Jr.
Galena, IL: Carl B. Schoenhard, Jr., 1988. Paperback. Small 4to. Stiff glossy pictorial wrappers. 78pp. Numerous color illustrations, charts, maps. Near fine. Tight, attractive first edition of this brief history of the northwest Illinois lead mining community, with much geological data. Nicely signed and inscribed by the author in black fineline on front flyleaf: "Best wishes from Carl B. Schoenhard, Jr / 12-22-88." Suttons Bay, MI: Suttons Bay Publications, 2011. Hardcover. Small 4to. 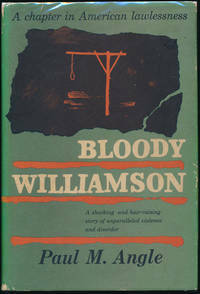 Beige paper over boards with black spine lettering, pictorial dust jacket. vii, 344pp. Illustrations. Fine/fine. Superbly tight copy of the Civil War impacted this Michigan city, boldly signed and inscribed by the author in black ballpoint on the title page: "All the best to / Dan / John C. Mitchell / 8/2/2013." New York: Vantage Press, 2005. Hardcover. Small 4to. Full blue leatherette with silver spine lettering, pictorial dust jacket. xiv, 278pp. Illustrations. Fine/near fine. 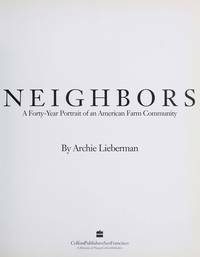 Pristine first edition of this humorous memoir about growing up in a small industrial town in southwest Ohio in the '60s and '70s -- nicely inscribed and signed by the author in black fineline on the front flyleaf: "8/15/05 / To Judi: / Hope you enjoy. / Timothy Simer." [Galena]: City of Galena, 1937. Paperback. 8vo. Stiff blue pictorial wrappers. 79pp. Frontispiece, illustrations, linoleum-block engravings, small color foldout map at rear. Very good. Faintest of wear to outer wrappers and bit and faint foxing to rear flyleaf - internally tight and near fine. A sharp first edition of this Federal Writers' Project city guide, written largely and anonymously by a then-obscure starving young artist named Nelson Algren (1909-81), who went on to far greater fame as the "Poet of the Chicago Slums," author of "The Man with the Golden Arm" (1949) and other classic Chicago fiction. 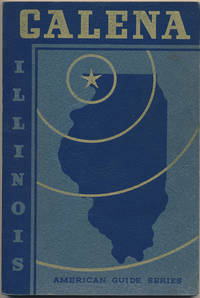 One of the most desirable of the WPA city guides. The Richard Delson plates are simple but striking and powerful; the often-absent color map at rear is bright and handsome. For what it's worth, the building visible at left foreground of the frontispiece was the first location of yours truly (Main Street Fine Books & Manuscripts). A superb copy. DYKES 81. New York: Alfred A. Knopf, 1969. Hardcover. 8vo. Black cloth with silver spine lettering, pictorial dust jacket. xiv, 300pp, xiv. 4 maps. Very good/very good. Mild jacket edgewear, with jacket spine a bit sunned. Tight, attractive nice later (4th) printing of this 1952 study, described on front jacket panel as "A shocking and hair-raising story of unparalleled violence and disorder" that occurred near Herrin in southern Illinois in 1922. This copy bears interesting autograph addition: Tipped to front flyleaf is an Autograph Note Signed from Angle, 1p, 8¼" X 11", n.p., n.y. Very good. Two-punched at top; original mailing folds. At the bottom of an original typescript for a Chicago Civil War Round Table announcement presumably prepared by Angle (giving place/date and agenda -- "Presentation of the David H. Annan Library of the Civil War"), he boldly pencils a note to Abraham Lincoln Book Shop founder Ralph G. Newman (1912-98), who co-founded this first-in-the-country Round Table: "Ralph -- / Make any changes you wish / on this. / Paul." Tipped to an inner flyleaf is Newman's 1984-85 membership card for the Northern Illinois Civil War Round Table. 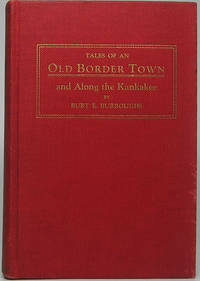 Tales of an Old "Border Town" and Along the Kankakee: A Collection of Historical Facts and Intimate Personal Sketches of the Days of the Pioneers in Momence, Illinois, and the Hunting Grounds of the Kankakee Marsh and "Bogus Island." Fowler, IN: The Benton Review Shop, 1925. Hardcover. Small 8vo. Red cloth with gilt lettering. x, 314pp. Frontispiece, illustrations. Very good. Faint binding edgewear. 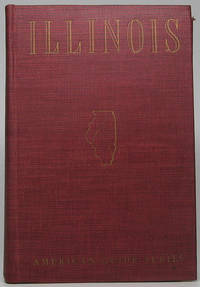 Tight, attractive first edition of this reminiscence about this northeast Illinois city and county. Lovely copy of a very uncommon title. Tipped neatly to rear endpaper is a 1934 obituary of Burroughs. SIX-GUNS 339. N.p. : N.p., 1927. Hardcover. Small 4to. Blue cloth with gilt lettering. 117pp. Tissue-guarded heavy stock illustrations. Fine. 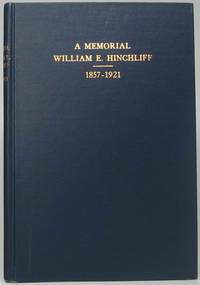 Superb and tight first edition of this privately published tribute to this significant Rockford industrialist, founder of Burson Manufacturing Company -- a "book of remembrances of William E. Hinchliff for you, his grandchildren," as the foreword notes. This choice copy belonged to the 17th and last of those grandchildren, whose names appear on a list preceding the foreword. In the year of this grandchild's birth, Hinchliff's widow boldly inscribes the front flyleaf in blue ink to "Georgeanna Biddle Hinchliff / With love from / Grandmother Hinchliff / December 31st 1928." Harriet Emerson Hinchliff's tissue-guarded image is among this volume's illustrations. An outstanding association copy of a scarce title clearly produced in a small quantity. Norman: University of Oklahoma Press, 1963. Hardcover. Introduction by Philip D. Jordan. Small 8vo. Brown marbled paper over boards with gilt spine lettering, pictorial dust jacket. xxv, 262pp. 5 illustrations. Near fine/very good. Couple of spots to page edges; ownership name/address inkstamped on front flyleaf; faint jacket edgewear. First of this edition -- the 23rd title in "The Western Frontier Library" series, tight and handsome. The 1850 Chicago true first edition of this sensational crime is one of the great classics -- and a great rarity in this edition.